Why do we need an interpretation for Quantum Mechanics? After all, we don’t look for any interpretations when we learn classical physics. The reason is that the semantic context of QM (which is a fancy way of saying what the heck it means) is not clear, while in classical physics, it is obvious. Classical physics is merely a mathematical description of whatever we can see and sense directly. Earlier, I said Quantum Mechanics was a mathematical formulation that mapped the unknowable reality of particles to the macro effects around us. I thought it was an interpretation-free way of looking at it, but I was wrong. It turns out that even this minimalist perspective with a very low expectation of the semantics in QM is still an interpretation – called the instrumentalist interpretation. The Copenhagen interpretation tries to go further. It tries to answer the question what the state of a system is, when all we know is its wave function. If, when we make a measurement on the system, we may one of a few possible values, does it mean that the system was in that particular state (with that particular value) before we made the measurement? The Copenhagen interpretation says that system was in all possible states at the same time, in a kind of superposition of states. Here is where the cat comes in. Schrodinger’s cat is a thought experiment designed to illustrate the Copenhagen interpretation of QM. Assume that you have a cat in a box, along with a clever contraption designed to kill it at a random time in the future (like a vile of poison that will be released based on a random radioactive decay). When you close the box, the cat is alive. But some time in the future, the cat may or may not be alive. In other words, it has a certain probability of being alive or dead at any point in time, which can be calculated. But what does that mean? In this particular interpretation of QM, the cat is both dead and alive until we open the box, at which point we will see the cat either dead or alive. 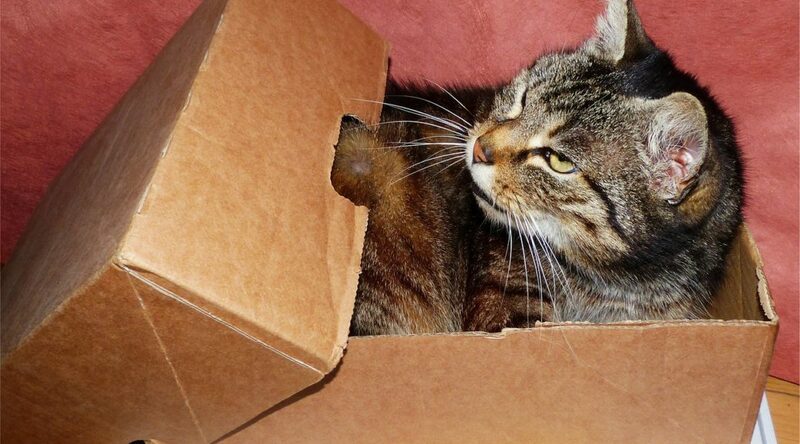 The state of the cat before we open the box is a superposition of the dead state and the alive state. If you think about it, all probabilistic statements are of this kind. Let’s say you have a good lifestyle, and take care of your body, while I have lousy habits. We go to a doctor, and he says I have 30% more chance of dying of a heart attack within a year. What does that mean? I could take it to mean that I am 30% more dead than you are, during this year. Realistically, it can only mean that if you took 1000 guys like yourself, and 1000 others like me, your group will have 30% more people alive in one year than mine. That would be a statistical interpretation of probability, while the former statement would be a Copenhagen interpretation. Both are valid and right. We just have to live with the fact that probabilities cannot be thought of as applying to one person, one cat or one particle, unless we are willing to interpret it as a superposition. It happens through a magical property of probabilities, technically called the central limit theorem. Let me illustrate it this way. You know that if you throw a die, you may get any number from one through six with equal probability. What happens if you throw two dice and look at the sum? It turns out that the probability of the possible numbers (two through 12) is not equal any more. A sum of seven is more likely than the rest, because there are more ways in which you can make seven than any other number. There is only one combination (one and one) that makes the sum two, or 12 (six and six). But you can make a seven by having one and six, two and five, or three and four, and it is three times more likely. When you have a larger number of dice, the probability of getting an average of 3.5 per die becomes larger. If you throw a thousand dice, it would be really foolish to expect to see a sum less than 3200 or more than 3800, which would be a five-sigma event, or has a probability of less than one in a few million. And when you have trillions and trillions of atoms acting like dice as prescribed by QM, the macro behavior, though probabilistic, is fairly indistinguishable from a deterministic behavior. In fact, this determinism out of probabilistic behavior is similar to the emergence of an arrow of time from the laws of physics that are time-reversible.